Editada par Kobalt Music Publishing Ltd. Bittersweet story of the changes that occur in a healthy relationship when the variables are switched up. 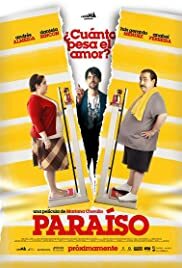 Misunderstandings and assumptions take their toll on this adorable couple who never stop loving each other.Set in a bustling Mexican city, there is the sense of urban futility that often shrouds that setting. (Case in point-you can't have a dog so you settle for a cat) People are portrayed as busier, ruder, more shallow. Values are forsaken...perhaps a bit too pat and predictable in that respect, but otherwise an enjoyable, believable tale. English subtitles were a little distracting but just for the first few minutes.